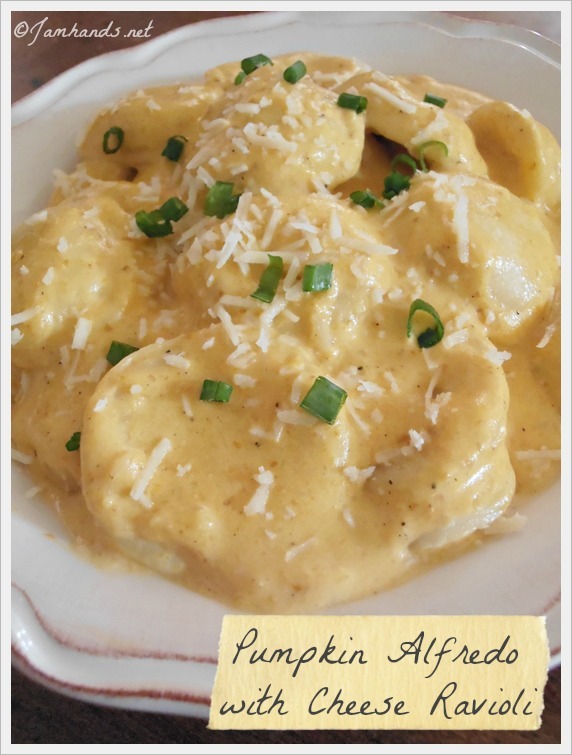 My curiosity was piqued when I saw this recipe for Pumpkin Alfredo with Cheese Tortellini over at Family Fresh Meals. Not only was it comforting and delicious, I even got the kids to eat a bowl. I really like cheese so I added a bit more Parmesan that what was called for in the recipe. Enjoy! Cook tortellini as the label directions. Reserve 1/4 cup of cooking water, then drain pasta. Set aside. Meanwhile, heat butter in a skillet and add shallots. Cook until soft, about 2-3 minutes. Add pumpkin and nutmeg and cook for 1 more minute. Stir in cream and bring to a low boil. Reduce heat to low and simmer, stirring often, until thick, about 5-7 minutes. Stir in Parmesan cheese and cook for 1 more minute. Season with salt and pepper. Add cooked tortellini and reserved water to the pan and toss to coat. Recipe from Family Fresh Meals. Sharing this recipe at the following fun link parties. 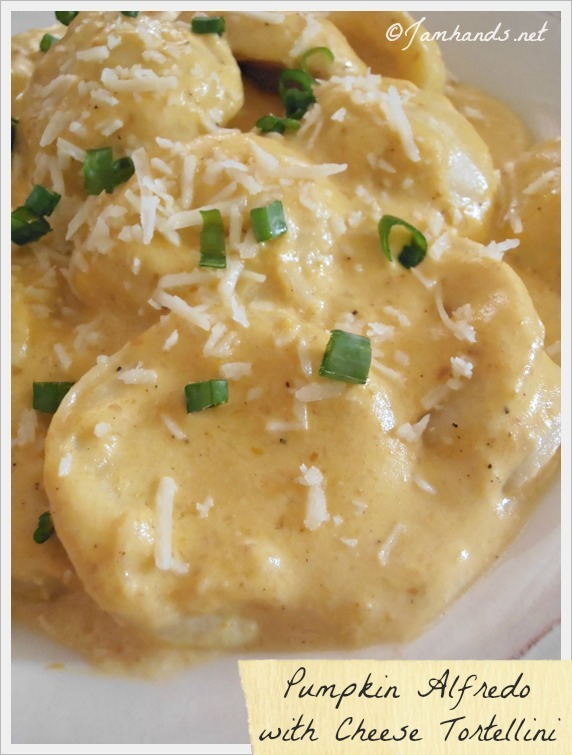 I love this twist on Alfredo! Thank you for sharing at Simple Supper Tuesday.